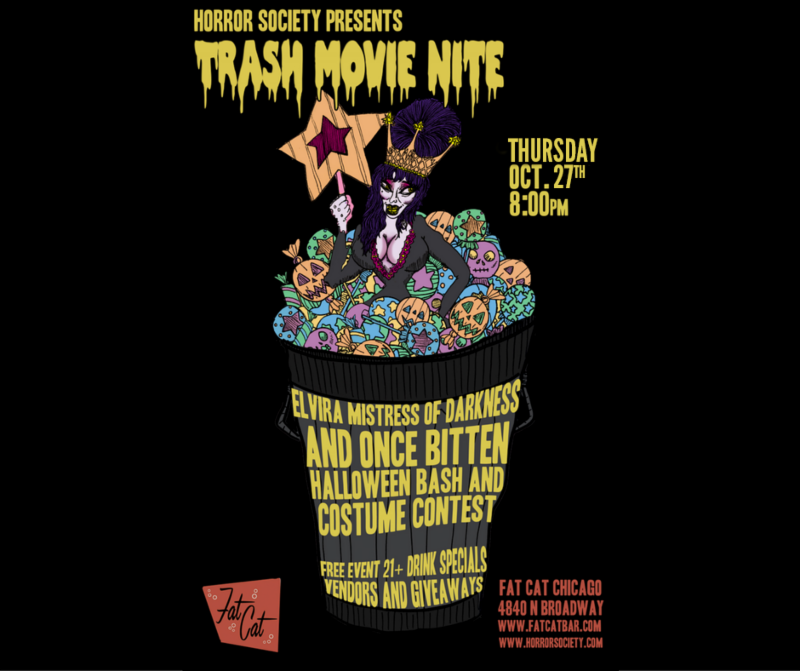 Uptown Update: October Trash Movie Night Is A Halloween Double Feature At Fat Cat -- Tonight! October Trash Movie Night Is A Halloween Double Feature At Fat Cat -- Tonight! Come to Fat Cat tonight (4840 North Broadway) for a special Halloween-themed version of Trash Movie Night. "Prepare your costumes! There will be a costume contest for great prizes! Celebrate the best holiday of the year! Drink Specials, Horror-themed vendors, and giveaways for FREE STUFF!" It's all free (yay!) and is a 21+ event. See the Faceball Event Page for more information.